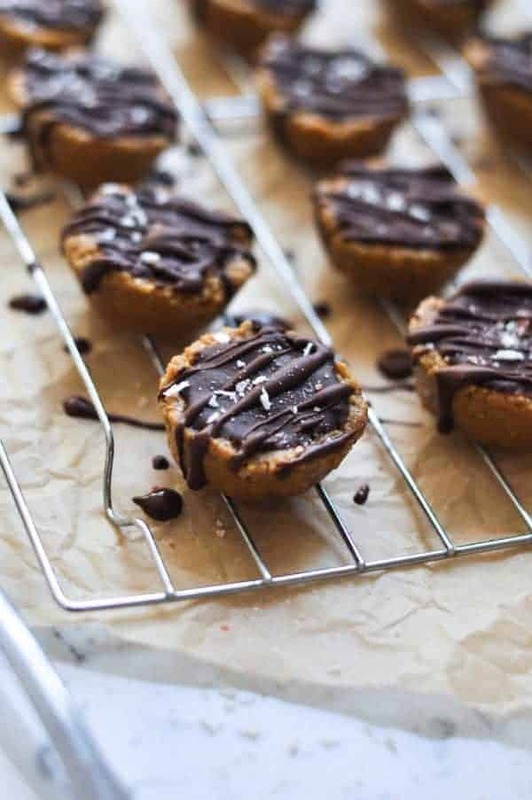 Easy No-Bake Scotcheroos are made with only 4 ingredients, drizzled with chocolate and sprinkled with a little sea salt for an irresistible sweet & salty combo. We have a guest on the blog today! Ana is a good friend of mine and also a fellow food blogger at anaankeny.com. She is a home-schooling mama of four boys and has a knack for creating healthy and delicious recipes. A visit to her house always involves an offering of coffee or tea and her newest recipe creation. This isn’t Ana’s first guest appearance on the blog. 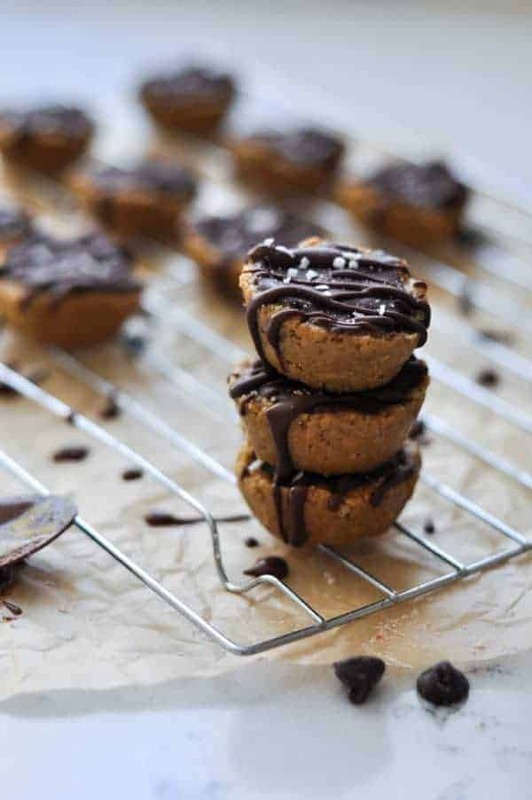 She has also shared her Gluten-free Apple Crisp, Homemade Chocolate Chip ‘Clif’ Bars, Chocolate Dipped Peanut Butter Cookie and Pumpkin Breakfast Cookie recipes. All which are of course, very scrumptious! A quick-to-make dessert made with only 4 ingredients and loved by everyone. 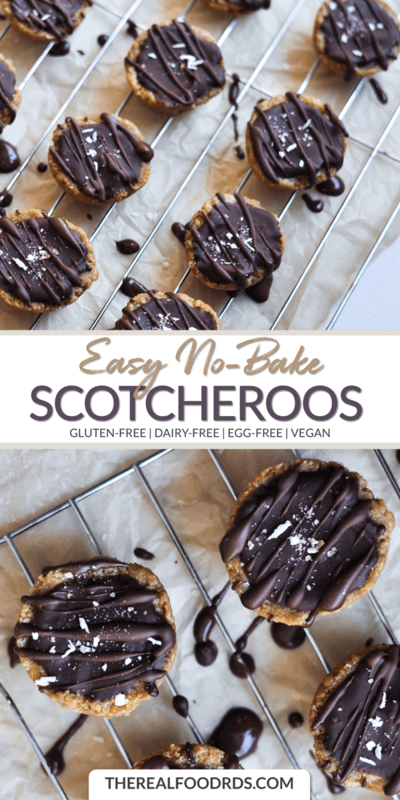 Easy No-Bake Scotcheroos are a healthy version of the classic Scotcheroos. 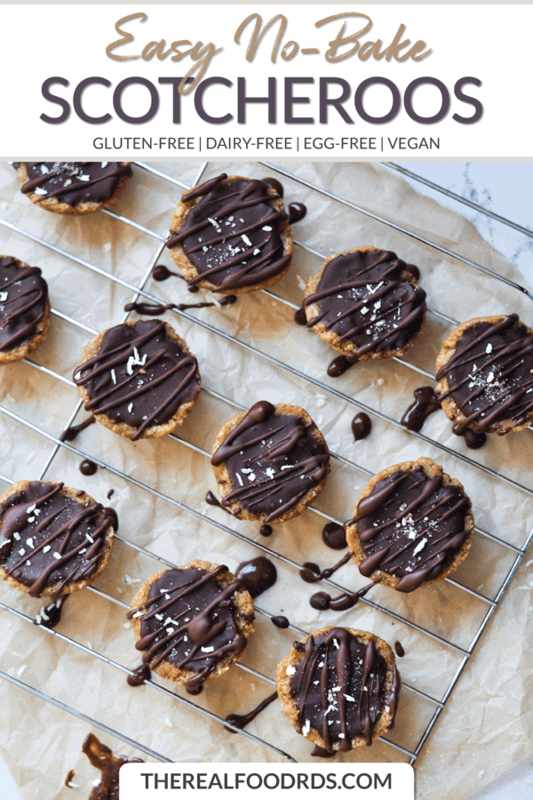 I’ve swapped out a few ingredients to make them gluten-free, dairy-free, and refined sugar-free. Of course I kept the two greatest ingredients – chocolate and peanut butter. And while peanut butter is a household favorite in my home, if a peanut (or nut) allergy/sensitivity is a concern, feel free to substitute a nut or seed butter of your choosing. Chocolate and peanut butter is pretty much the best combination. 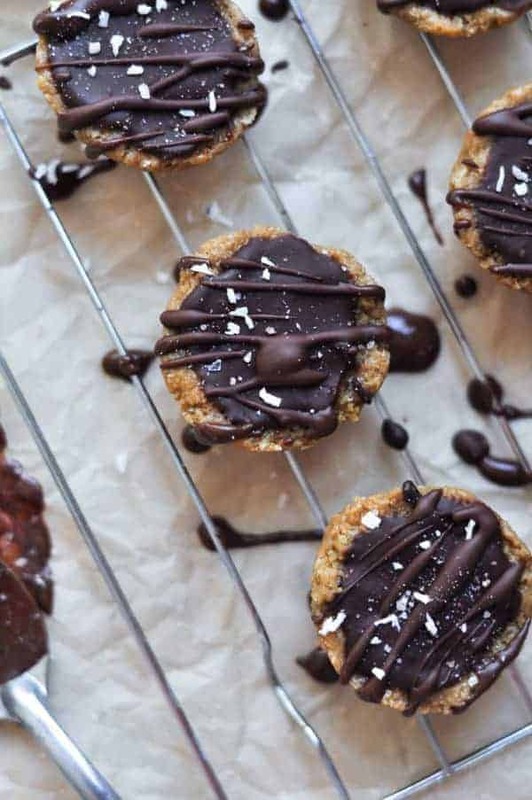 The sweet decadent chocolate and the creamy peanut butter mixed together with the crunch from the crispy rice cereal makes for a dessert that will be hard to stop at one. I like keeping the crispy rice cereal crispy by using honey as the sweetener. Honey has the right “sticky” amount and it doesn’t soak into the crispy rice cereal like maple syrup does, giving us a wonderful crispy crunch dessert. 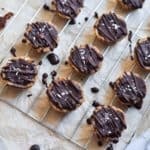 I love making easy no-bake desserts because they’re quick to make. And this recipe doesn’t require any fancy kitchen gadgets – just a good processor and a baking pan. I add the crispy rice cereal, peanut butter and honey to the food processor and turn it on. A couple 10 second bursts, scraping the sides down between, and the Scotcheroo mixture is ready. Next, I press the mixture into mini muffin tins, scooping out a spoonful of mixture and pressing it very firmly into the tins. Place them in the freezer for 30 minutes before topping with the melted chocolate. Easy No-Bake Scotcheroos are perfect for the holidays! With the holidays just around the corner, I like having a quick dessert option that I can whip up for when company comes over. 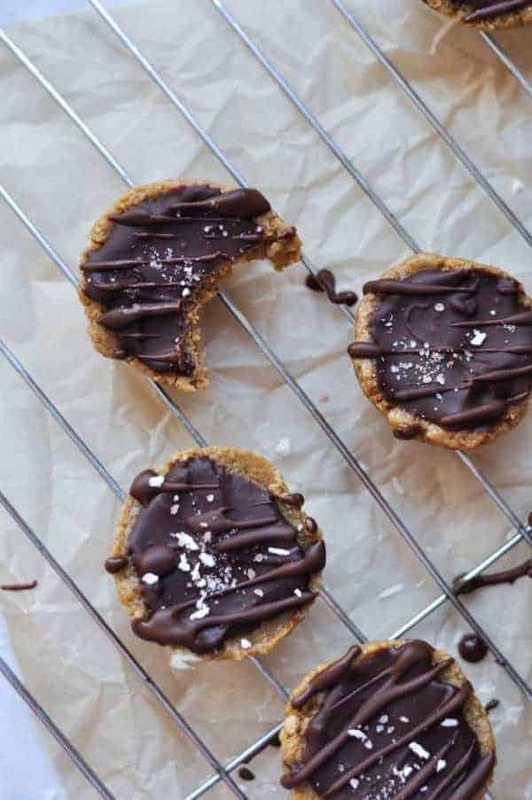 Easy No-Bake Scotcheroos are just the ticket. During the holidays I’ll have a batch (or two) just waiting in the freezer. They keep in the freezer for a couple of weeks, so making a batch now and having them ready for holiday parties will save you time. An hour before the party, just pull them out and voila, dessert is ready! In food processor, add the crispy rice cereal, honey and peanut butter. Process for two 10-second bursts, scraping sides at each interval. Continue to mix until mixture is well mixed. Scoop out mixture by the spoonful and evenly fill a 24 mini muffin tin. Press mixture very firmly into the muffin tin. In a small saucepan, over low heat, add the chocolate chips and coconut oil. Stir constantly until all chocolate chips have melted. Remove the muffin tin from freezer and remove Scotcheroos from tin. Place a spoonful of melted chocolate on top of each Scotcheroo. Smooth with the back of a spoon. Serve once chocolate has set.